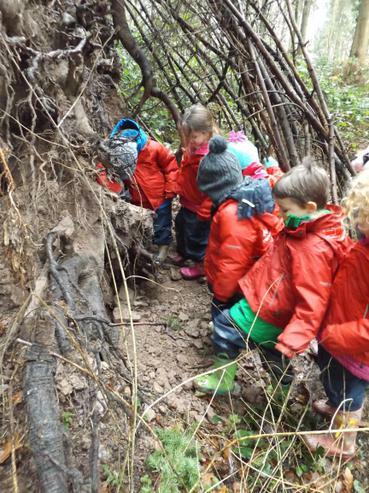 At Madley we are extremely fortunate to have access to some exclusive and fantastic forest school sites. 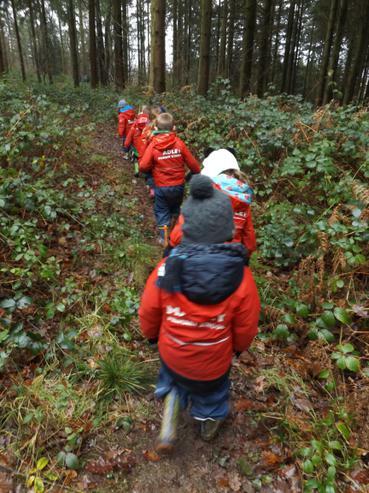 Through a unique partnership with the Duchy Of Cornwall we have our own forest school site a few miles away from school (we use our mini-buses to travel there). We also have a small wood on our school site and a fire circle training area. 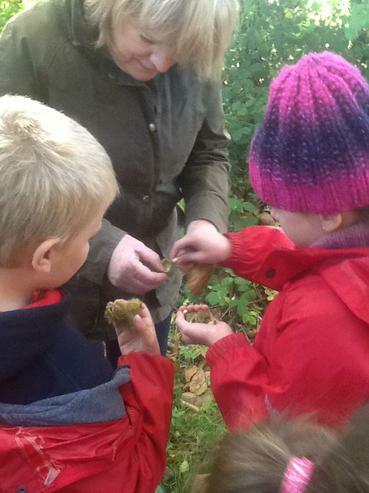 Madley Primary School hosts forest school training and we have 5 fully trained forest school leaders. 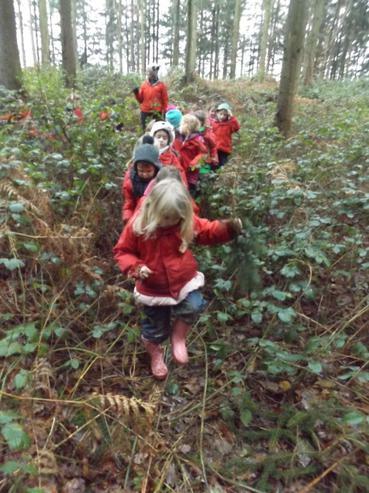 Forest school is a fully integrated part of our curriculum and is accessible to all year groups, not just building dens but finding out about ecology, experiencing writing in the woods, construction from natural materials, using equipment safely, using knives correctly and enjoying a stimulating environment. 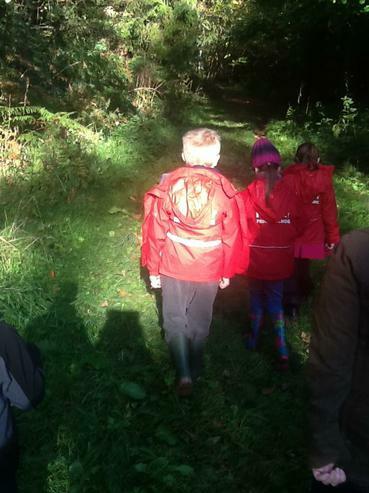 Some of our older children have also led training with pupils from other schools to inspire them as they begin their outdoor learning journey. Year 5 have used the forest school site as part of their theme on space, they have been developing their survival skills like Tim Peake. 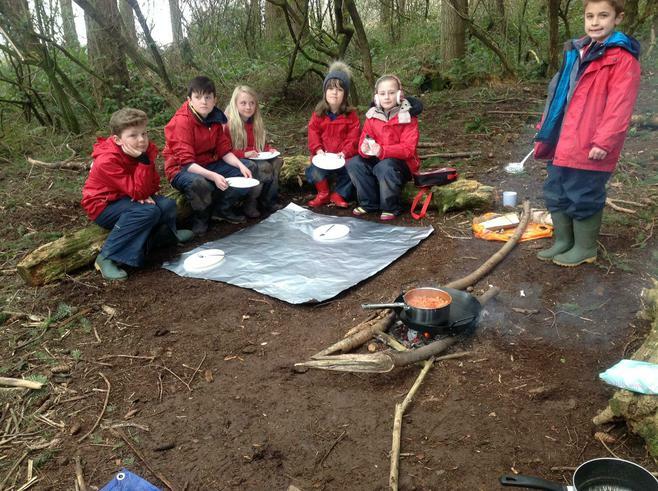 'Ultimate trust' was given as groups worked towards lighting and maintaining their own fires and then moving towards cooking on their own fire. 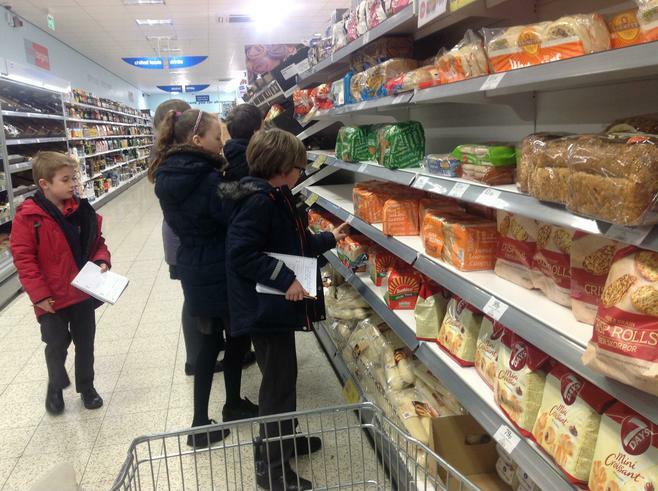 Our aims for the days were 'warm, dry and safe' with no accidents and all of the children were exemplary with their behaviour, safety and teamwork. 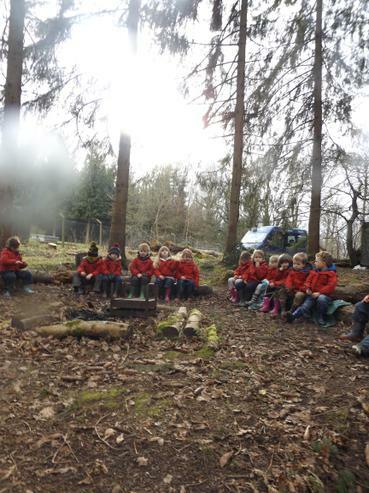 Year 3 at the Forest School site.